You guys know I love to try out new recipes and if I haven’t impressed upon you enough I absolutely love vegetables in particular zucchini is a fave of mine! I love eating out of the garden and I believe having an edible garden is a must have for every suburban homesteader I mean you don’t have to start large you can slowly add plants here and there and before you know it you are walking outside into your own edible oasis…..it’s true! Well I was a little bummed this year because we did not grow any zucchini this year to be truthful we struggle with the squashes the squash borers just have a feast on our lil’ suburban homestead so this year we just avoided it all together but I realized after having this recipe tonight that we can no longer avoid my beloved zucchini…..it’s a must for me and to eat like a queen and dine on zucchini fritters in the comfort of my own castle well I must say there is absolutely no comparison! You guys know when I write a blog post I want to make you swoon, drool, and just put you in the mood that you can’t wait to make these fritters so I hope you love the pictures I worked especially hard to make you want to dig in and make these. You are probably going to be thinking enough with the photos but 2014 is a new year and I want to knock your socks off with working hard to make sure you all get better content and better pictures! First of all I would be remiss if I did not share the link to the inspiration Zucchini Fritter recipe but I have to tell you I don’t ever have any feta cheese on hand on a regular basis so I knew immediately we would be coming up with our own version which I think holds its own quite nicely. I am a huge believer in using what you already have in your pantry. Please, please, please let me know what you think! I love hearing from all of you without you guys this blog has no purpose! 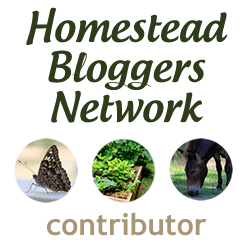 I am so honored and grateful you took time out of your busy life to read our lil’ blog…and you know my motto is “If you have a home you’re a homesteader”. 1/4 to 1/2 C. rendered chicken fat or whatever oil you choose to use but it needs to be an oil that can get hot! Place chicken fat in cast iron pan to get to a good heating point. In the meantime stir up all of the zucchini, egg, salt, pepper, 1/2 C. flour, mozzarella, chives and mozzarella until it’s all mixed well and you can spoon it into frying pan. Be careful that your oil does not get too hot or it will burn the fritters. You want it to be just sizzling. Then place fritters in until golden brown on both sides! Enjoy! Let me know what you think of the additional pictures I tend to publish less but I notice folks seem to want more pictures if it’s too many let me know too. 2014 – What will your story be? We have been making these for years! I have been gluten free for over a year, and like to limit dairy, so this is my version: one large zucchini, grated; about 1/4 cup shredded cheddar; 1/4 – 1/2 cup gf flour; 1 or 2 eggs; spices of choice (salt, pepper, basil, chives, oregano – whatever sounds good!). Mix and fry up! The more flour, the caliber they are. Kathy I love that you shared this! We now make ours gluten-free as well! Both versions are delish!